Home » Supplement Reviews » Fat Burner Reviews - For Men » The Ripper Fat Burner Review – How Well Does It Work To Lose Fat? Quite cheap compared to other fat burners. It contains a proprietary blend which means you won't know exactly how much of each ingredient one serving contains. It contains some of they key fat burning ingredients but it’s missing many of them. The Ripper fat burner contains high doses of stimulants like caffeine and could really be used as a pre workout instead of a fat burning supplement. If you are wondering if you should give this supplement a try read our full review, we made the ripper fat burner review to help people to find out if this product really suits them. What’s better than The Ripper? The Ripper Fat Burner Review – Does It Work For You? Chances are you stumbled on this article because you wanted to find a fat burning supplement that helped you to lose fat. We all know that losing fat is hard and it would definitely be nice to get some help from a fat burning supplement. Since there are so many fat burners available you cannot trust anyone in the supplement industry really. There are also a lot of scam products out there that simply don’t work. Which is a big problem for people like me and you that just want to buy an ethical product that actually delivers good results. I actually started writing reviews about supplements after having bought dozens of ineffective supplements that didn’t work. I wasted probably about $100 each month buying supplements that promised good results but simply were a complete waste of my hard earned money. Until I decided to educate myself about supplements, which I have been doing for the last 5-6 years. This supplement is definitely no scam product but I think they are marketing it incorrectly and promising good people like me and you unrealistic results by using it. The Ripper Fat Burner: Who Is It For? The Ripper fat burner by Cobra Labs is definitely not for everyone. In my opinion The Ripper is not for someone who wants to get the best fat burner available. – See the best 3 fat burners here. The Ripper fat burner is more for people who want a energy boost while training with fat loss being a little side benefit. As I’ve said before this product is missing a lot of the best fat burning ingredients. By looking at the ingredients I clearly see that is very similarly dosed as some pre workout supplements on the market. What is my problem with this blend is that it is under dosed, well except for the caffeine 200mg is actually pretty good. Since the recommended dose of Beta Alanine is normally 2000-5000mg there is a high chance you are not getting much of it. This is the problem with proprietary blends they are most of the times under dosed. No matter how you divide the ingredients in the remaining 2034 mg -200mg(the caffeine) = 1834 mg of the blend, it will always be under dosed. Rasberry ketones daily recommended dose is about 1000-5000 mg per day, so it is almost impossible that you are getting more than a minimum dosage of that. The only thing in this blend that might not be under dosed is the Guarana, since a normal dose for many people is around 200-800mg. This blend contains Taurine, L-Carnetine, Green Coffee Extract, Green Tea Extract, Cinnamon Bark Extract and Olive Extract. It contains a lot of ingredients for only being 1016 mg.
As with the other blend they really don’ tell us how much of each ingredient this blend contains. Taurine is definitely a solid ingredient which improves athletic performance and is quite often used in supplements. Recommended dose for Taurine is 500-2000mg which means it’s probably under dosed in this supplement. L-Carnitine is definitely a good fat loss ingredient, it helps the body to use energy from stored fat reserves. A normal dose is about 1000-3000mg so it’s highly likely that the L-Carnetine is under dosed in this blend. Green coffee been extract is popular fat loss ingredients, it cuts down glucose in the liver and decreases fat storage. So as far as I am concerned I would think it is under dosed. The Cinnamon Bark Extract is in my opinion pretty useless for losing fat even though it has other health benefits. Olive Leaf extract is also an ingredient that may be a little helpful in fat loss, but will not make a huge difference. I would not include these 2 last ingredients in a fat burner. Most of the ingredients are under dosed. Cobra Labs The Ripper fat burner: Does It Work to Lose Fat? If I were looking for a supplement to burn fast faster, The Ripper would never be my fat burner of choice. It contains some pretty solid ingredients which are unfortunately almost all under dosed. You could take 2 servings at once to make up for the low dosages but then you would get a 400mg caffeine serving which is very high and potentially dangerous. I am not sure if you will really experience the benefits of the ingredients that The Ripper contains because they are under dosed. One thing is very good about The Ripper is it will provide you with plenty of energy throughout workouts. So I guess it would be good to use it as a pre workout supplement rather than a fat burner. You really aren’t getting that much of fat burning effects by using The Ripper. I’ve actually made an article about the best 3 fat burners on the market which you can access here. How Do Users Review The Ripper fat burner? I dug out some the ripper fat burner reviews on forums were people were describing how the ripper worked for them. There is a concern amongst customers that this feels more like a pre workout than ever a fat burner. Which could be a negative factor for people looking for just a fat burner. It is missing some of the benefits that a good fat burner will deliver like the reduced appetite. If you are looking for a good fat burning supplement then check out our article on the best 3 fat burners on the market here. Here we answer some questions you might have about The Ripper by Cobra Labs. If you happen to have a bottle of the Ripper at home I’m going to tell you how I’d use it. Since it contains a lot of caffeine I would use it before you workouts, this will give you a nice energy boost in your training sessions. If you feel tired in the morning and you have a hard time waking up The Ripper will definitely help to give you a much needed energy boost. To truly use this product as a fat burner you have to make sure your diet is in check. These ingredients alone won’t help you losing fat if your diet is bad. So my advice to you would be to train hard and diet well. I’d also not use more than 2 scoops of the ripper per day because of the high caffeine. The Ripper Fat Burner Does It come with Side Effects? There were two ingredients In The Ripper that could possibly come with side effects. Caffeine – Make sure you do not exceed 1 scoop of the ripper for the first few times you use it. You have to build up a caffeine tolerance before using more than 1 scoop. Also make sure you aren’t drinking other caffeinated drinks when using The Ripper like coffee, energy drinks and pre workouts. Potential side effects from caffeine: Insomina, fast heart beat, nervousness, muscle tremors and stomach upset. Beta Alanine – Beta alanine can cause paresthesia. Which is an uncomfortable tingly feeling all over your body, this is however nothing to be afraid of because it’s harmless and won’t affect your health. What Supplement would I recommend to use as a fat burner? If you want a product that is effective to lose fat the ripper may not be the best choice. However there are some products that have caught my attention and that I actually like using. I made a complete guide on what to look for in fat burners and which were my top 3 suggestions. You can access my fat burner guide here were I tell you my top 3 choices for a fat burner. Just remember fat burners are there to enhance your fat loss, these are no miracle supplements by any means. You should be following a proven diet and a workout regime already before using a fat burning supplement. 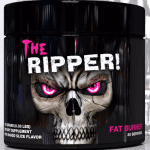 Where Can You Buy The Ripper Fat Burner By Cobra Labs? You can buy the Ripper By Cobra Labs in almost every supplement store. You can get 30 servings for roughly $30, depends on where you buy it. I’m a petite woman who takes the ripper before the gym. I can only take 1/2 a scoop or it makes me feel dizzy and too tingly on my feet and hands. I like the product, but it won’t contribute to weight loss unless you have a good paleo diet and train hard. Thanks for sharing your The Ripper review with us! A lot of people will benefit from it. Can I take the ripper after my breakfast? I Workout at noon. Have you checked out our top fat burners page though? Moment you drink, make sure to shake well. Those unmelted sugars will cut your throat like glass. Strong sharp soda taste, makes your head spin. 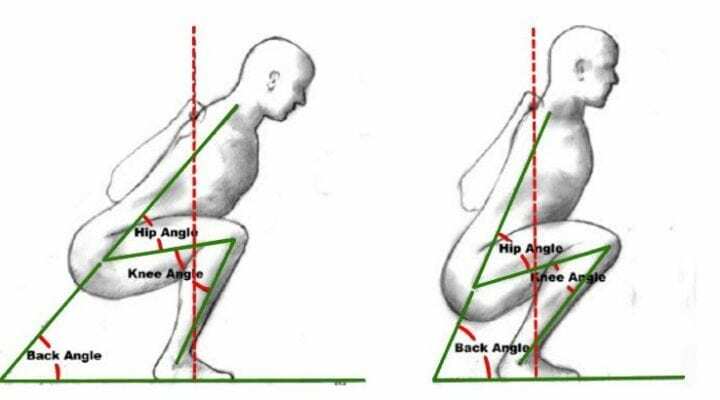 Doesn’t help to increase pumps, appetite or energy much. But drank one, I couldn’t sleep from the caffeine overload. All in all, waste of purchase. Compared to other brands like ON, that are tons more effective, I will give this a miss permenantly. Won’t get it again.